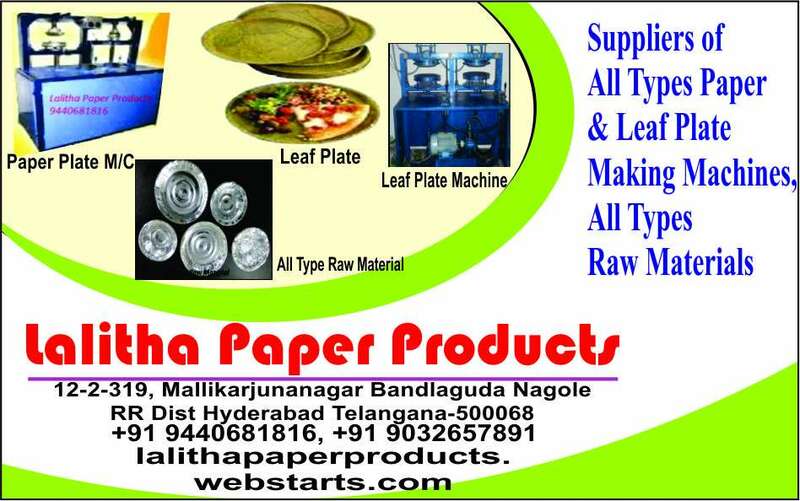 Leaf Plate Making Raw Material, Paper Plate Making Dies And Kanguru & Bearing Die, Etc. Our Products Offered By Us Are Widely Recognized For Having Features Like Un Break Ability, High Efficiency And Longer Service Life. 9 4 4 0 6 8 1 8 1 6.